SCIA Newsletter - Moving forward into 2019! Happy New Year and our Best Wishes! Are you as excited to jump into the new year as we are? With the start of this New Year, I want to sincerely thank you for taking the time to engage with us, trusting us with your business and helping us deliver on a successful 2018! Looking back at 2018, we had an exciting year in which we rolled out SCIA Engineer 18, the release that was adopted and installed by our users at the fastest rate to date. We overhauled our SCIA branding to create a closer connection with our customers and initiated the SCIA Insider program. We also continued with our user-selected enhancement survey of which we delivered the top 3 requests into SCIA Engineer 18. 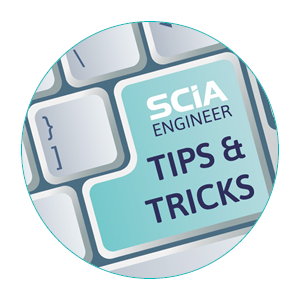 Moving forward into 2019, we will continue to focus on working with you closer, again we will incorporate the top three user-selected enhancements in SCIA Engineer 19. In addition to many other planned improvements and functionalities, we continue making this new version easier to use and learn. Thank you for being part of our growing community of structural engineering devotes and for inspiring us every day with your achievements in turning your ideas into reality! When visualizing results for 2D members in SCIA Engineer, it is possible for the user to see 4 different views on the same result by selecting one of these options: ‘In nodes – no average’, ‘In nodes – average’, ‘In nodes -average on macro’ or ‘In centers’. Learn more about the differences between these options, and when to use them. 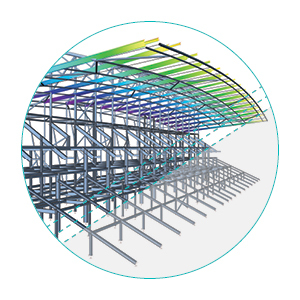 Curious which constructions have been realized with SCIA Engineer? Copyright © 2019 SCIA, All rights reserved.